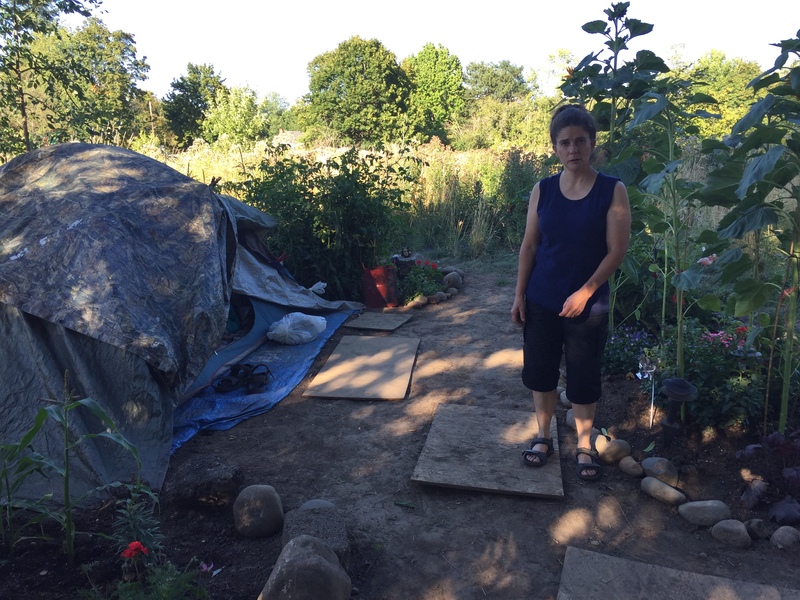 On July 15, Portland Mayor Charlie Hales gave an eviction notice to the largest homeless camp in the Pacific Northwest. 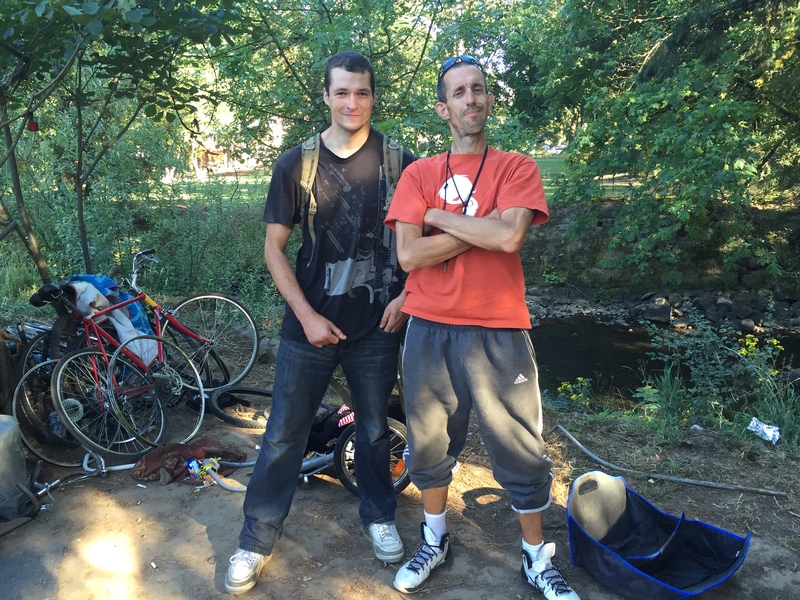 The mayor announced that, starting Aug. 1, Portland police would sweep homeless people living along the Springwater Corridor bike trail. As many as 500 people are living along the trail, with the biggest camps in East Portland between Southeast 82nd Avenue and the wetlands of Beggars Tick Wildlife Refuge. The camps have incited the fury of neighbors as they grew during the past year, becoming one of the largest concentrations of homeless people in the nation. It’s unclear where the hundreds of campers will go. Multnomah County just opened a new East Portland shelter, but many of those beds are already taken. In the week before Hales’ announcement, WW visited several camps along the Springwater. Here are three of the people who told us their stories. Rachel Monahan contributed reporting to this story. The “president” of a 45-tent camp known as Headquarters, the largest camp along the Springwater Corridor, Florida lives next to Johnson Creek and “Mohawk,” another veteran. A large U.S. flag hangs from a tree overhead. Like many campers, Florida is intelligent, resourceful and uses hard drugs—heroin, in his case. Florida says he holds a B.A. in mechanical engineering. He was a .50-caliber machine gunner in Operations Desert Storm and Desert Shield, he says, but lost his veteran’s benefits after lying to military officials. He puts down a handful of bicycle pedals to grab a piece of freshly grilled steak offered by a neighbor, then scolds a reporter who crushes a Mountain Dew can: “We don’t do that here, man.” He adds that campers “go deep into Clackamas, Sellwood” to collect aluminum cans. Hillary and her husband, Joel—who says he’s been living “up and down Johnson Creek” for about 13 years—eschew use of last names, like most campers. Married five years, the pair occupy a small tent a few feet from the bike path. They’re removed from the ruckus of the main Headquarters camp, where the yelling and screams grow more intense as afternoon turns to twilight. 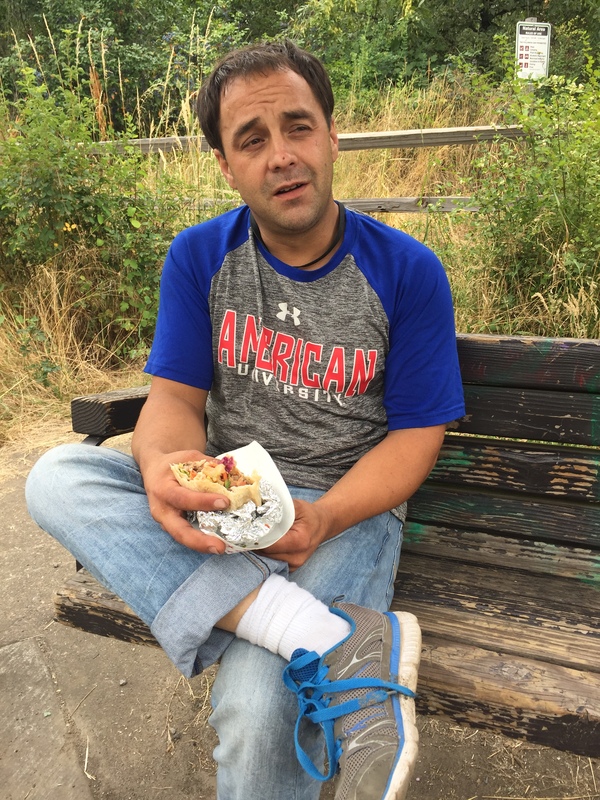 Calmly munching on a burrito on a park bench in front of Beggars Tick Wildlife Refuge, Sam Blaga recounts the car accident and string of events that led him from being housed and employed full-time to living in his car nearby. “It all started with a little vacation,” says Blaga, whose easygoing tone and steady gaze are notable in an area where drug use is the norm. “Some girl hit me, hurt my lower back.” After that: loss of job, stolen wallet, stolen truck, a move to a vacant house, then to his car. 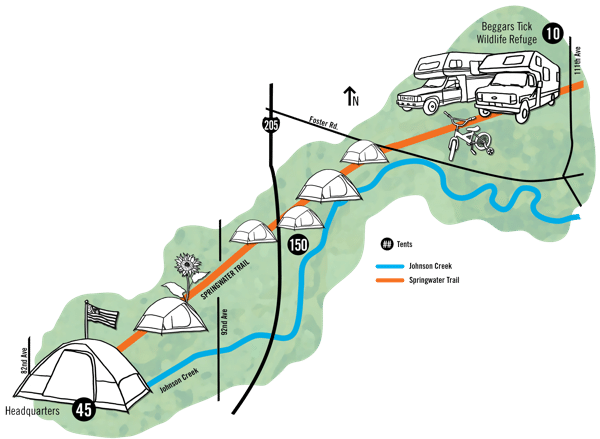 Previous Previous post: Springwater camps may be the largest in the U.S.